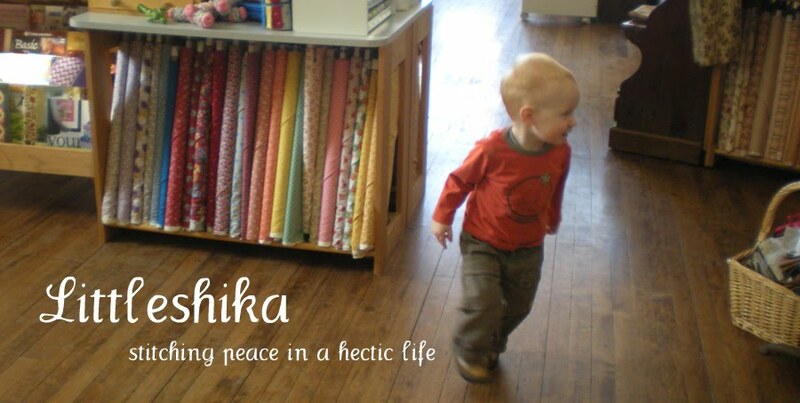 littleshika: What is Modern Quilting? yeah. so this is the topic of the day. What is Modern Quilting, anyway? Since I joined the NYCMetroMod Quilt Guild I've been thinking more and more about this. 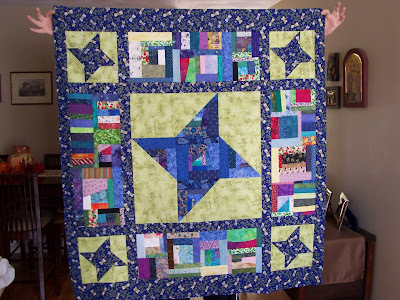 Do I want to be a "modern quilter"? but I don't use white sashing, and I don't buy Amy Butler. But when I look back at the quilts I've made in the past few years, yeah, they're modern. I've got a Bento Box. I did a Plain Spoken from the Ringle & Kerr book, Modern Quilt Workshop. I made a crosses quilt inspired from pics on flickr. I did one of Kaffe Fassett's Bird Boxes. Hell, I even made a Chinese Coins quilt. I just finished a paper-pieced string top and I've got a Spiderweb in the works. So.. Modern Quilting is quiltmaking inspired by the modern quilt artists, namely Denyse Schmidt (the Godmother of Modern Quilting? 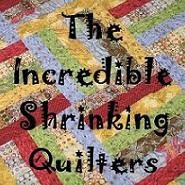 ), Kaffe Fassett, Fielke & Doughty, Ringle & Kerr.. popular quilters that don't make traditional quilts. There is an air of bending-the-rules-ness to it. Using color & patterns in ways the last generation of quilters (or young, traditional, Dear Jane types) wouldn't be interested in. "Wonky" is not only ok but sometimes sought after. Oh, and a big distinction for me is that "modern quilts" are very different from "art quilts". Two great contemporary movements, but totally different in my book. I am not an art quilter. Modern quilting also reflects the change in ways quilters gather (online), share (flickr/blogs), and shop (again, online). Sure, traditional quilters do these things too, but with the speed of the internet, ideas light up and take off in an instant. Someone posts it on a blog, everyone sees it, and by next week, 20 people have made one already (more if someone creates a flickr pool for them). You don't have to wait for magazines and quilt shows to see what's new. So what does all this mean? I don't know, but it sure is fun to be part of this movement. 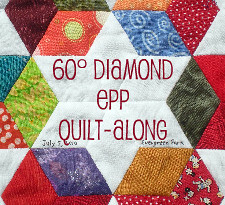 A part of quilting history. A part of the current wave of creativity that spreads and splashes into our heads, sewing rooms, and all over our beds, couches and walls in the form of cozy cozy quilts in the 21st century. interesting take on the question, jessica. i'm so glad you took the time to write your thoughts. I don't know, but reading over the posts that have taken up this meme, it does seem to me that there is a need to define "modern quilting" as somehow "new and improved", certainly different than anything that has ever been before. I'm wondering if this is really the case. Women have been coming together over quilts for generations. The influences of today are going to look quite dated 20 years hence, just the way the big floral borders of the 80s do now, and - more than likely - our daughters are going to be calling themselves "postmodern quilters" and disavowing all that "negative space" and Kona coal! Lol - and so it goes! Loved reading your thoughts! Modern quilting is so many different things, right?? It's fun to think about. Going back to the history of quilts, one sees right away, they too were on the cutting edge of something new, fanciful, beautiful, utilitarian and artistic. 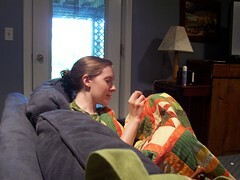 I blogged about the history of quilts. Can't find it, but it's there. Thanks for the ponderings and thoughts, I really enjoyed them! This is a really good post! Very interesting pondering...comments, too! I have to say I'm not sure that modern is to different from what it has been...I do think the sharing looks/feels different! (internet vs. waiting for your group or magazine) Now I'm going to your hyperlinks ;)) HA! I guess I'm 'modern' ! I love your Chinese Coins and the Kaffe one, very fresh and mod. Very weird that you would post this now because I've been asking myself if I was a modern quilter or not too. The Seattle Modern Quilt Guild is having their first meeting in two weeks and I've been trying to decide if I should go or not. I don't feel like a modern quilter but I am definitely heavily influenced by the blogging world when I think about the quilts I have completed and have in progress/planned. Mostly I just wanted to leave a comment to say thanks. I'd quietly begun wondering if "modern quilting" meant what it said on the label or was actually a code phrase for "we like a few certain things." So I tossed out the question and posed my own: "If that's what I'm not, then what am I?" I think you covered it very well. It is a lot about the community, and the ideas and inspiration that come from the internet. Nicely said! I really like your observation that part of modern quilting is how quilters are connecting using technology. I think that online social networking is something that definitely defines the age we live in, so it makes sense that it should also help to define us as quilters.